Used Audi A6 Allroad Review - 2000-2005 | What Car? 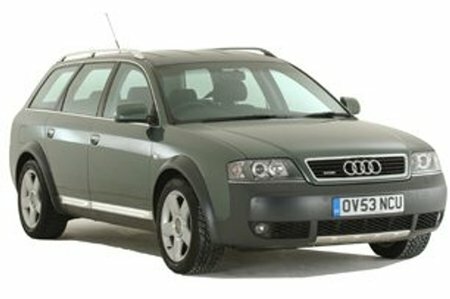 What's the used Audi A6 Allroad estate like? The Audi Allroad is basically an A6 Avant estate with pumped up suspension and four-wheel drive, and shares the good and bad points of the car it's based on. The build quality, for a start, is excellent, and there's plenty of room inside for five passengers. There's also an enormous boot, so it'll take family life in its stride. Don't think of it as a full-on off-roader, however. Yes, the clever air suspension does give it some ability away from Tarmac, but plenty of other cars are more capable if you really need to get off the beaten track. Stay on the road, though, and you'll soon realise the Allroad's not great there, either. Although none of the versions are short of performance, the ride is no better than reasonable, and the handling lacks the sharpness you'd find in a BMW.